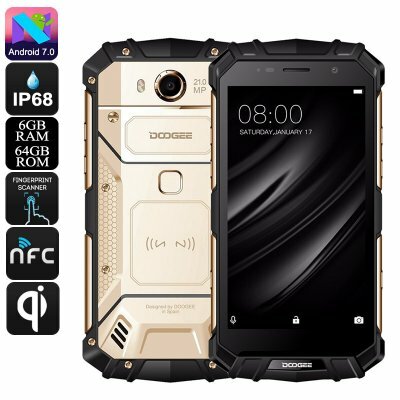 Successfully Added HK Warehouse Doogee S60 Android Phone - QI Wireless Charging, Octa-Core, 6GB RAM, Android 7.0, 1080p, 21MP Cam (Gold) to your Shopping Cart. The Doogee S60 rugged phone is the ultimate smartphone for people that wish to enjoy the latest Android features while exploring the outdoors. This extremely durable Android phone features an IP68 design. This means that it is fully resistant to water, drops, and dust. You’ll be able to carry it along into any environment without ever needing to worry about it breaking down. Whether it’s a dusty factory or a humid forest, this rugged Android phone follows you anywhere you go. Along with its 5580mAh battery, it lets you enjoy media and stay connected while out in nature for up to 8 hours straight. As a true outdoor phone, the Doogee S60 Android smartphone treats you to an abundance of outdoor features. It also supports great connectivity thanks to its Dual-IMEI numbers. Additionally, it supports 4G and Dual-Band WiFi. This means that you’ll be able to browse the web at lightning speeds. Whether you wish to read the news, stream a movie, or download an App – everything is possible with this 4G smartphone. You’ll be treated to 64GB internal storage and an SD card slot that supports a massive 128GB external memory. This should be more than enough to meet the storage needs of anybody out there. To make sure that it meets all your mobile demands, this Android phone comes packed with the latest hardware and software alike. Android 7.0 puts forth a lag-free performance whereas its Octa-Core Helio P25 processor and 6GB RAM treats you to all power needed to tackle demanding media. All the games, Apps, and films of your liking can be enjoyed on the phone’s stunning 5.2-Inch Full-HD display. To further increase your overall user experience, this rugged phone comes with a fingerprint scanner and QI wireless charging capabilities. It even has a 21MP rear camera to shoot mesmerizing pictures and video. 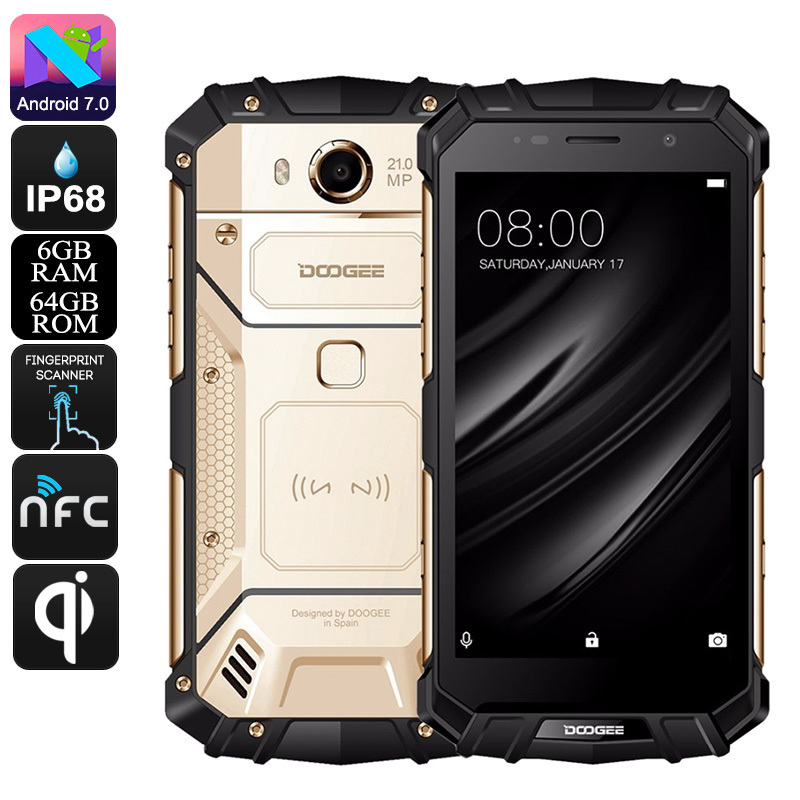 The Doogee S60 Android phone comes with a 12 months warranty, brought to you by the leader in electronic devices as well as wholesale rugged phones.. Excellent quality, Great screen brilliant sound easy to navigate. No bloatware. A really good phone. A bit heavier than expected but it is rugged.